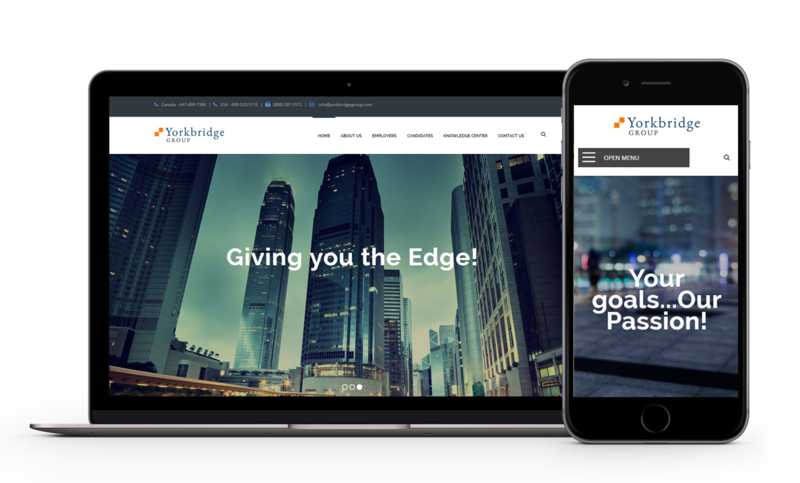 The Yorkbridge Group came to us to help get their Executive Search firm up and running on the web, ensuring that they could focus on both American and Canadian markets alike. Imagery was a hugely important part of the site as this was how we wanted to attract potential users to the site, whilst also providing quality content to ensure all users can simply find what they are looking for. A logo design was also created to match the new website. After a lengthy search for the right website developer (we checked several companies in the USA, Canada and the UK) we decided upon Strategies Express… mainly due to the consultation we had with Alex, which was very thorough… and their price…. which was very fair. Ultimately the company followed through brilliantly… Alex remained as diligent throughout the process as he was during the initial consultation. He was always extremely responsive and despite the time difference between the UK and Toronto, he made sure that our needs were always accommodated in a timely fashion (Thanks Alex!). I would highly recommend Alex and the team at Strategies Express… we got first class service for a very fair fee. Couldn’t be happier with our choice! Bringing passion and a highly personalized touch back to Executive Search.